Every first Friday of the month in Oakland’s Uptown district music fills the air, food carts set up in the street and galleries open their doors for viewings of local artists’ work. 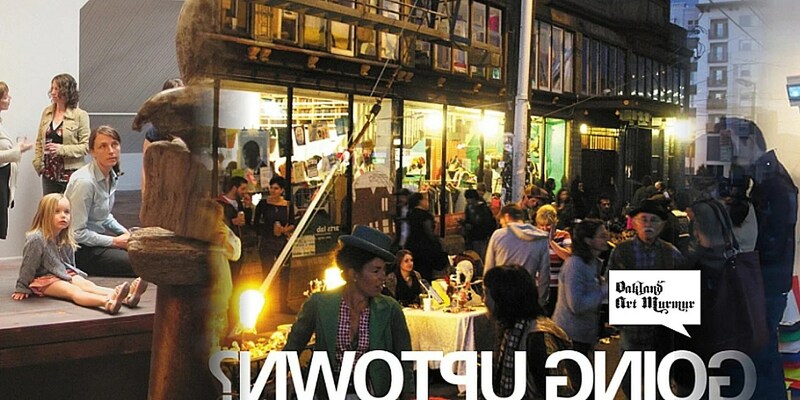 Oakland Art Murmur supports art and cultural venues that are dedicated to increasing popular awareness of and participation in the arts of Oakland. The event promotes the arts community through collective marketing and outreach efforts and organizes a monthly First Friday Art Walk. In addition to the Art Walk, many galleries extend their First Friday festivities and include Saturday hours in an effort to lure enthusiasts who prefer a low profile scene. The new Saturday Stroll is quiet and focused on the art and runs every Saturday afternoon, from 1 to 5 p.m.
Oakland Art Murmur holds a series of free, guided walking tours on the third Saturday of each month to introduce visitors to Oakland’s array of visual art venues. According to the organization’s press release, tours are led by Oakland gallery directors, curators, writers and artists and are based on a different theme each time. The tour guide selects five exhibitions that include work relating to the theme. At each venue, the group enjoys a brief presentation about the gallery and the exhibition from the gallery director and or the artist.